Nothing wrong with them necessarily; they’re just not our thing. We’re guessing they’re not yours, either— and if they are, then you’re probably reading this website right now by accident. This is a tough one. We actually like the Julian Thomson Esprit, but the Giugiaro still feels like the one to have. 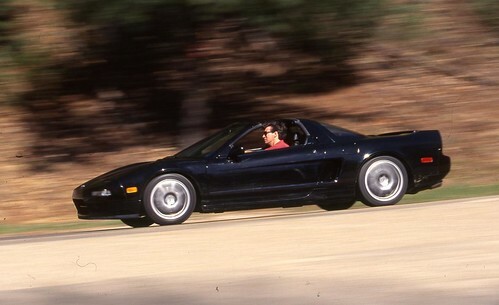 Plus the NSX is (probably) the better car, even if there’s less exoticism to it. We’d probably give it a tie for third if we could, but that feels like a cop-out. So we’re reluctantly placing the Esprit at fourth. 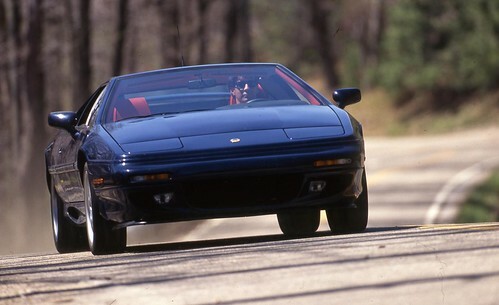 It’ll make you feel like Senna— but it won’t make you drive like him. Arguably the best road car that Honda ever made. Not sure there’s even much to argue— we’d be interested in seeing someone take the opposite side of that argument. This particular car loses some points for the T-top, but would we kick it out of the garage? Heck no. 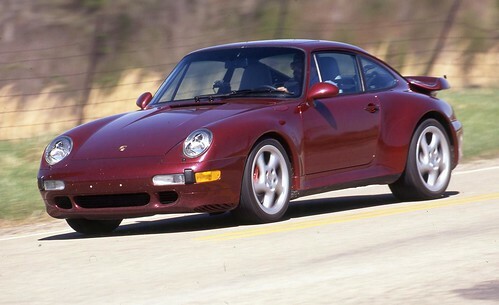 The pinnacle of the aircooled 911… but alas, it’s still not a Ferrari. Plus AWD and forced induction somehow feel less exciting and ‘pure’ than RWD and natural aspiration, respectively (though we’ll be the first to admit bias; we know what we like). But make no mistake: we’d still kill to have one. It’s one of our most favorite cars— ever. Along with the 550 Maranello, we still think it’s the last truly good-looking Ferrari ever made. The naturally-aspirated mid-mounted V8 and the song that it sings are icing on the cake. Just make ours anything but red. With the benefit of hindsight, we also wonder if the folks at C/D would have ranked these any differently than they had back in 1995. ~ by velofinds on November 19, 2013. I ranked them on impulse without second-guessing myself and am a little surprised with myself. 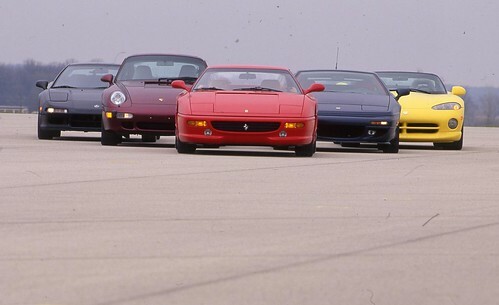 The 993 came second last because it didn’t seem special enough… but the NSX scored tops because it was less “special” than the F355 and seemed somehow more honest. Love works in mysterious ways, I guess. BMW’s M3 is one of the least-expensive cars in this group. It’s also the tallest and narrowest car and has the most-usable rear seat. Its first-place finish proves that superb handling does not require exotic-car packaging or exotic-car prices. The M3’s cockpit works naturally. The driver’s seat offers a commanding view of the road and the hood’s corners. Hands fall instinctively to the steering wheel and shifter, as do feet to the pedals. Heel-and-toeing is possible, and a dead pedal is included. An adjustable steering wheel would have been nice, as well as more lateral support, but these issues didn’t get in the way of our adoration. The M3 covers for you. The suspension shrugs off bumps, swells, and off-camber depressions without upsetting the line. Not once did any driver cross it up. Smith: “Overcooked a corner, and the BMW’s forgiving nature made it interesting rather than scary.” Even at the hairy edge of traction, the M3 is accepting of further driver input, which builds tremendous confidence. Unlike the Acura NSX, the Dodge Viper, or even the Ferrari F355, you feel free to explore the M3’s limits without fear that something awful awaits if you miscalculate. The M3 is like one of those mules that pull tour duty in the Grand Canyon, year after year: It isn’t capable of a misstep. This car lets you seek out its limits quicker and more confidently than any of the other cars here. If that doesn’t make for a winning handler, we don’t know what does. 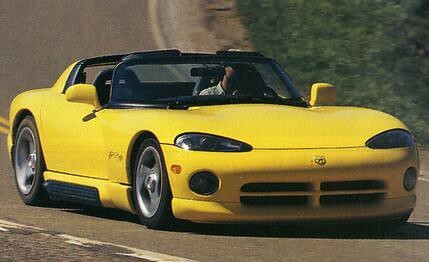 I like Vipers. They’re hilarious and dangerous. A more fun combination than any of the rest of those. NSX and 993 are to clinical. The Esprit is not the one I’d choose. V8 or not a Thompson, please. The 355 is, well, perfect. Problem with that is you can buy a very nice (used) bespoke chassis race car for the same money. I’d much rather a Picchio or Marcos v8 than a Ferrari. As far as toys go, the Viper is probably the easiest to get to, and far beyond, the limit of grip, which is where things are the most fun. Plus they never made one with an automatic, and that’s just cool. I wonder if anybody has ever put a ricardo or xtrac gearbox in a v8 Esprit then cranked up the power to where they knew it should have been? I just realized the money many of these things trade for would buy some of the stupid stuff I lust over. If I were shopping for a mid-90’s supercar, I’d buy an A110, a Stratos replica or a 205 t16. 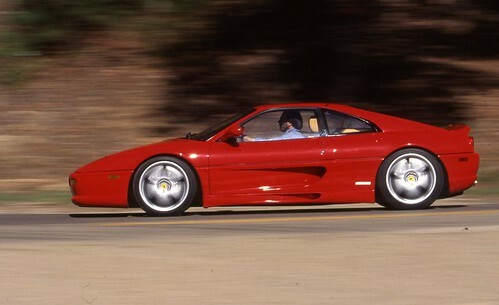 Oh my gosh, I thought I was the only one that thought that about the F355. Every new Ferrari and Lamborghini looks more and more like a truncated lizard. Thank you for posting this. This comparo was a seminal one in the development of my opinions about cars, reading it as a 16-year-old in ’95. Great stuff. I’d say the last truly good looking Ferrari is the 612 Scaglietti. Timeless, understated, classic lines & proper manual ‘box. Reblogged this on Just Another Pistonhead.